The hubby and I have plans for dinner tonight and I'm so excited to wear this LBD for a simple, yet flirty look. 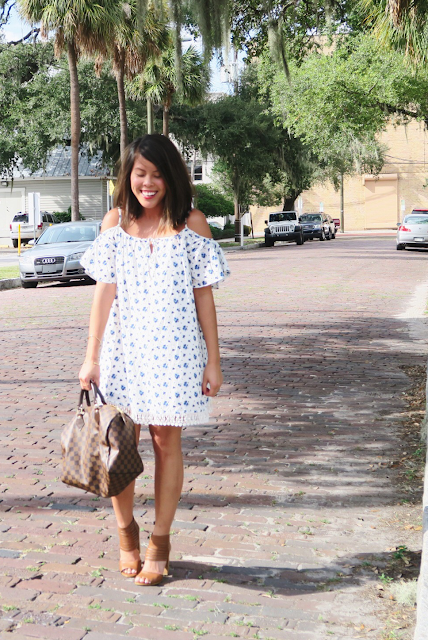 Based on the reviews, I knew I had to have this dress and trust me when I say you need this in your closet too! Not only super affordable, it's a piece you can dress up or down, and so perfect for every occasion. Sorry for the lack of posts this month - I've been under the weather, but also decided to take a nice long break to gear up for the new year! 2015 has been quite the year and I have so much to be thankful for. Restarting my blog back in September has been one of the best decisions I've made (with 100% love and support from the hubs!). New friends turned into great friends, and I finally feel like 'Letters and Pearls' is a place where I feel completely myself. To say I am truly blessed would be an understatement :) The refresh button has been hit and I can't wait to see what 2016 has in store! Thank you to everyone who has constantly shown me love and support throughout this wonderful journey. A big shout out to my Style Collective sisters who inspire me everyday - without you ladies, I wouldn't be where I am today! You ladies are the best!